Keep it off for 12 months! Keep off the weight you worked so hard to lose, and cash out each month that you maintain! Tons of support, fun challenges, and the accountability you need. 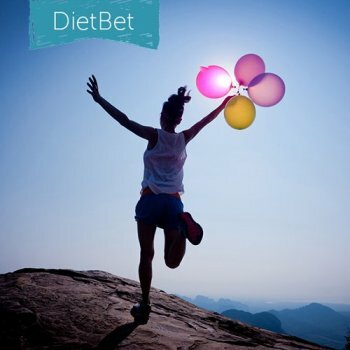 The object of the game is to maintain your initial weight for 12 months, with a +2% allowance to allow for daily fluctuations (you can also lose up to 4%). To make that easier, we break the Maintainer into 12 rounds, each with its own pot, giving you regular accountability and incentives. That means if you stay within -4% to +2% of your weight all year, you can cash out 12 times! Miss a goal for a round? Don’t worry—you can still win the next round and the Grand Prize at the end of Round 12. Half the bets are spread across the first 11 rounds, and the winners of Round 12 split the other half. The goal for each round is the same, though you MUST be between -4% and +5% of your initial weight by the end of Round 11 to be eligible to win the final pot. This is to prevent unsafe sprints at the end. How do we verify your weight? Wohoo! The game has been finalized and the results are in. A huge congratulations to all the winners! 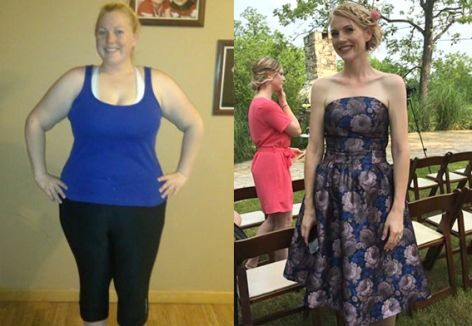 You've accomplished the amazing feat of keeping your weight steady for an entire year. You'll be notified by email if you are a winner, and the $165.62 will be added to your account. Use it to join a new game (who’s in for year two?? ), or request a PayPal payout and treat yourself to something fancy. You deserve it! Payouts process within 24 hours. - Most Liked Player: Heidi S.
- Most Generous Liker: Heidi S.
Started and ended with the exact same weight so it was a good year. Wishing everyone much success in the years to come. Heidi S. , Nicole K. , Mary and Colleen B. like this comment. I’m so bummed this is our last month. I love the accountability of the monthly weigh ins. I am sad DietBet phased maintainers out. It’s been so helpful for me. Nicole K. , Mary and 4 others like this comment. I'm very upset. It's the only thing that has kept me from gaining. I know I won't do a step bet and don't need a full diet bet. I agree, I have never maintained my weight for a year. I really wish there was another one. Nicole K. , Colleen B. , Dancing Mama , Kelley G. and Heidi S. like this comment. Nicole K. , Dancing Mama , Kelley G. and Heidi S. like this comment. Is the weigh-in procedure for the final round the same as in prior rounds? Thanks! Dancing Mama likes this comment. Colleen B. , Dancing Mama and Kelley G. like this comment. And I want to see how things go for a few months without DietBet. I found DB a couple of months into my weight loss and went gung ho, joined basically every game I could, even hosted some, and I love that I made money doing it, but I feel like I need to see how it goes when money isn't on the line anymore. Wow, it's already been a year since we started this game together! Have you kept the weight off for a full 12 months? If so, it's almost time to claim your big prize. Once the round ends on Apr 1 at midnight PST, you have until 11:59PM PST on Apr 3 to submit your final weight for the game. Remember this weigh-in is MANDATORY in order to win the Grand Prize! Submit early to make sure your photos are accepted! Once all weigh-ins are submitted, the game will finalize 24-36 hours after that. Good luck! Emily F. and Kelley G. like this comment. If anyone hears of any type of maintainer please post the info. I really need it to keep from regaining. What's better than reading a comment with a healthy tip you can use that day? Or sharing a personal story and getting tons of likes from supportive players? We're all in this together, so connect with each other by leaving and liking comments in the activity feed. We'll announce the Most Liked Player, Most Liked Comment, and Most Generous Liker at the end of each round! Please everyone keep bombarding DietBet with emails to start a new maintainer game. A host for regular games tried to get permission to start one, but was told no. You can do it right from the app. Click on the 3 bars (menu) on the top left (Apple anyway) and scroll down to contact support. Thanks. Nicole K. and Mary like this comment. I send email last week and was told no as well. I really wish they would allow it bc it helped me.